Get the right diamond, at the right price, with the right certification. We are Vancouver’s source for GIA certified diamonds. Our strict standards will ensure that your diamond has been properly graded, with the RIGHT Certification. At Crest Jewellers it is our ethical responsibility to sell diamonds that have been verified as non-conflict. Please go to www.diamondfacts.org for more information on non-conflict diamonds. We truly pride ourselves on our expertise in guiding all of our customers to the right diamond or gem stone decision. We’ve built a strong reputation of trust, and friendly no-pressure service with very competitive prices. 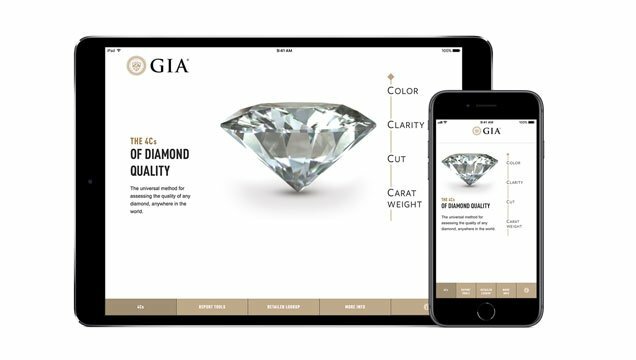 We are a wealth of knowledge but if you would like to do some in-depth research, check out the GIA App and we’ll be happy to fill in all the gaps. There's more to a Gem than bold colour. Visit our location in Beautiful Downtown Vancouver and we will gladly guide you through all the ins and outs of Gem Stones.